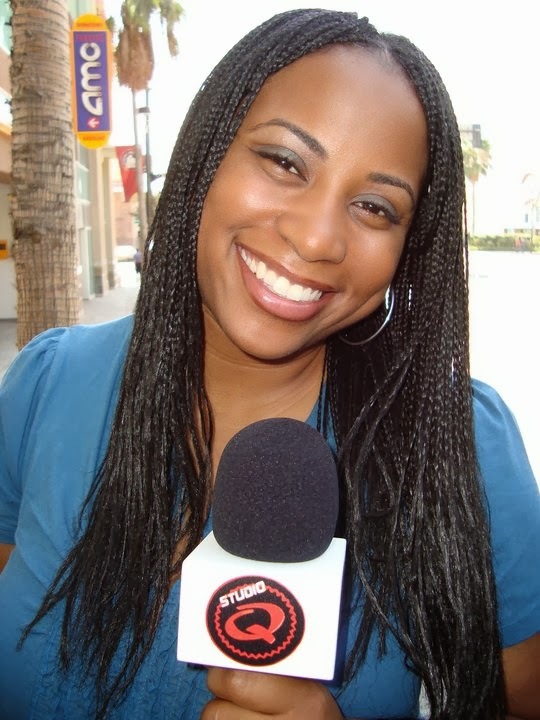 Quencie Thomas is the Celebrity Interviewer behind every Studio Q TV interview. She is a dynamic ball ball of energy that never meets a stranger. Her career as a Celebrity Interviewer began back in 1995 on the campus of Clark Atlanta University. She did her first TV interview with platinum-selling So So Def Recording Artist, DA BRAT for a show called Premiere TV. After that interview, Quencie never looked back. She then went on to create a 30-minute weekly music and entertainment TV show called, Studio Q. Celebrity guests included Grammy Award-Winning Gospel Great, Kirk Franklin, and Academy Award Nominated Actor, Danny Glover. She also wrote a column for The Atlanta Voice newspaper entitled, "Q's Corner," and was a freelance writer for The State Journal Register in Springfield, IL. Each job provided Quencie with so many celebrities moments that she eventually penned them all in her first book entitled, Celebrity Encounters. Quencie's most memorable celebrity encounter came a month before completing her Masters degree in Communications, from the University of Illinois. 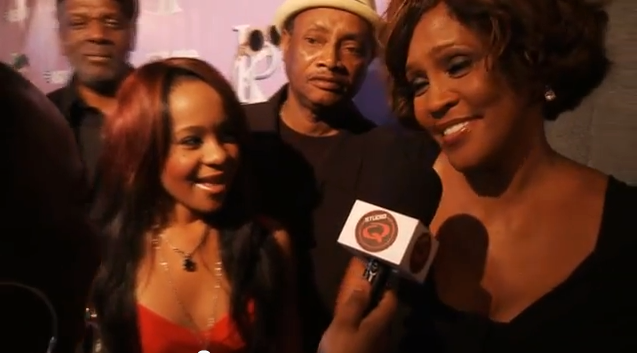 It was a dream-come-true interview with childhood idol, Whitney Houston, on an MTV show called "FANatic." According to Co-Creator and Executive Producer of FANatic, Ed Connelly Jr., the Whitney Houston interview was one of the series highest rated shows. When asked specifically about Quencie's interview performance, his response was: "Honestly, I think she was one of the best interviewers, we've ever had." ﻿When Quencie moved to LA to produce for TV networks like NBC, CBS, FOX, MTV, BET, and for TV shows like The Tyra Banks Show and Divorce Court Studio Q was immediately put on the back burner. However, recently Quencie joined forces with her Best Friend, Tam and re-ignited Studio Q as an online show. 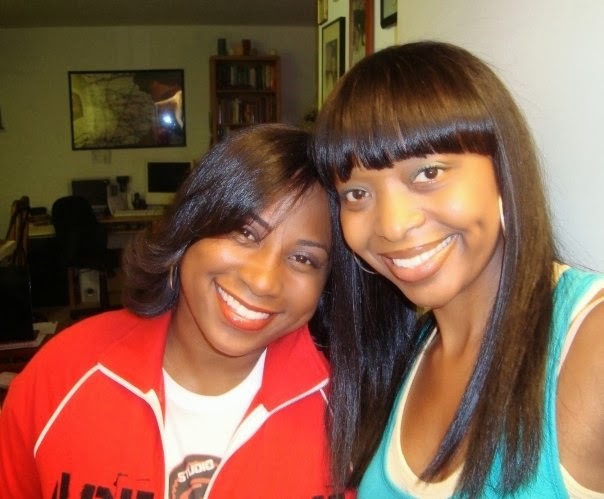 Studio Q is now made up of Quencie Thomas (Host/Producer @quencie) and Tam Anderson (Producer @4everTam). Yep, it's just the two of them! The first red carpet they did was Whitney Houston's last red carpet on February 9, 2012. When Whitney Houston only stopped for them, they decided to keep going. The two best friends have managed to do everything including: booking celebrity interviews, researching talent, filming interviews, editing footage, creating a website, and promoting Studio Q interviews on social media. Although new to the game, Studio Q has been privileged to conduct amazing celebrity interviews with some of entertainment's biggest stars including: Brandy, Faith Evans, David Oyelowo, Jenifer Lewis, Eric Benet, Viola Davis, etc. for an under-served demographic. While some women are throwing drinks at each other on TV, Studio Q is bringing forth something positive for women to enjoy and connect with. Studio Q is definitely coming to a TV near you. Get to know Quencie in the video below and discover the cool girl that we already know. Connect with Quencie today by subscribing to her YouTube Channel, following her on Twitter @STUDIOQTV and liking Facebook Pages Studio Q TV & For The Love of Whitney. Some models boast a blade oscillating sitew.in/ attribute to help with clearing up.When a waste Link disposal unit includes an electric cord, it Anaheim and Moen Recall Garbage Disposals Due to Impact Hazard can be utilized along with an electric outlet.